Find a vacation home to rent in Nordfriesland from our list of vacation rental properties. 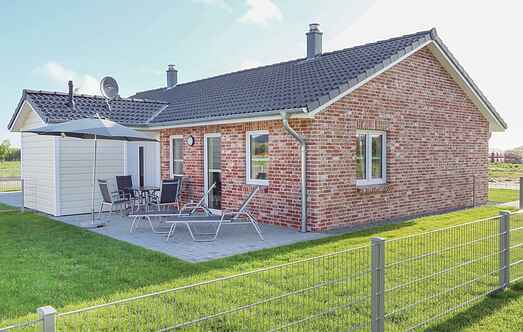 Campaya has over 132 vacation homes available in Nordfriesland, which give you the possibility to locate a unique accommodation in Nordfriesland which completes your check-list in search for the perfect self catering vacation apartments in Nordfriesland or vacation villas in Nordfriesland. This secluded holiday home on the North Sea is a special pearl in Dagebüll. On the terrace you can enjoy the refreshing sea breeze. A special pearl in Dagebüll offers this detached, clinker cottage on the North Sea. Here you can unwind on the terrace and enjoy the fresh sea breeze. This spacious apartment is located in the centre of a place called Dagebüll. This beautiful apartment is located in Dagebüll, just a few meters from the dike and the Wadden Sea. Located in the center of Dagebüll you can spend your North Sea holiday.